After a busy 3 quarters of rising prices, bidding wars and limited inventory the traditionally calmer 4th quarter has arrived. During autumn our market tends to be a bit slower paced and easier for buyers to navigate. If you are in the market, you are in luck for two reasons: First, many buyers are distracted by the start of school, the end of summer and the coming holidays. Second, a seller with their property on the market at this time of year is a motivated seller. This is the time of year we see many relocation’s, probate and distressed properties on the market because they need to sell. We also have a few properties that were overpriced in the summer and now the sellers are starting to be realistic. All of these factors combined make for the ‘perfect storm’ buyers. So grab your all weather gear and give me a call! Land banking is buying a property for the future development of the land. This property is a perfect example. It is located on an RH-2 lot (can be up to 2 units). Hold this property for 10 years and you’ll be sitting on a gold mine. In the meantime rent the house and pay the mortgage. 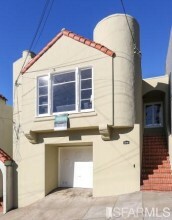 This home is located in popular Noe Valley. It has un-permitted space on the ground floor and needs cosmetic upgrades. With these issues remedied you have a great family home for a great price in Noe. 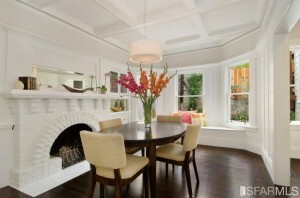 This Ashbury Heights home is located in a neighborhood with sales prices up to $3 million. You’ll probably have to pay $1.2 or $1.3 to buy this house but it has great potential to easily be a $2.7 million home. 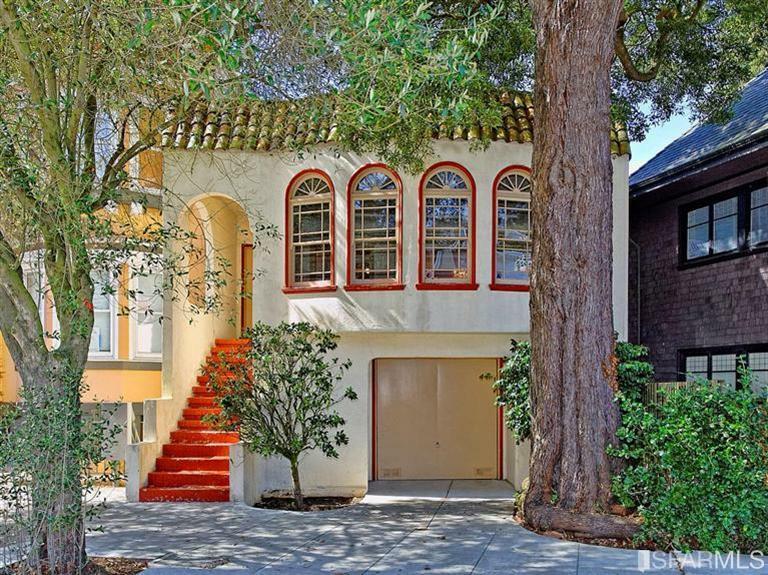 This is a charming Russian Hill investment property on a quiet street. None of the tenants are claiming protected status. It needs some work and it’ll take awhile to get the rents to market. In the meantime the current rents will cover you mortgage. 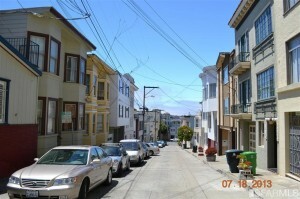 It’s hard to find a condo in the Mission. 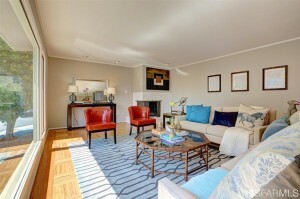 This condo is on a quiet alley, has a remodeled kitchen and baths. You’ll probably have to step up and pay $900k. 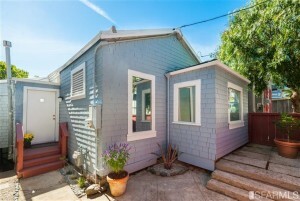 A detached home in the Marina for less than $2 million! This large mid-century home needs cosmetic updates but what a showcase home this will be when complete!